Our classic base, topped with creamy mozzarella & our famous passata. 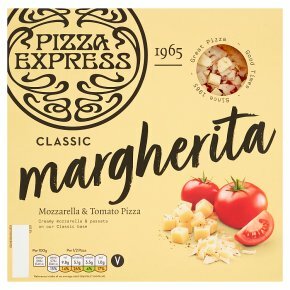 Great taste guaranteed pizzaexpress. Suitable for vegetarians. Ensure pizza is piping hot before serving and serve immediately. These are guidelines only as all cooking appliances vary in performance.Finish your pizza with a sprig of fresh basil.